A beautifully elegant wedding with an abundance of cuteness and the perfect start to their happily ever after. I first met Mathew and Chrissie in front of the camera when they had their first born, Jak. I went to their home to capture the newborn cuteness that is my other love in photography. Then Jak came to the studio a couple years later and introduced his baby sister Ella. During several friends weddings, I would see Mathew and Chrissie - always such a pleasure to photograph, so natural in front of the camera. I remember seeing on social media the sweetest proposal that Mathew had planned including Jak and Ella, and I was so chuffed when they asked me to be their photographer. 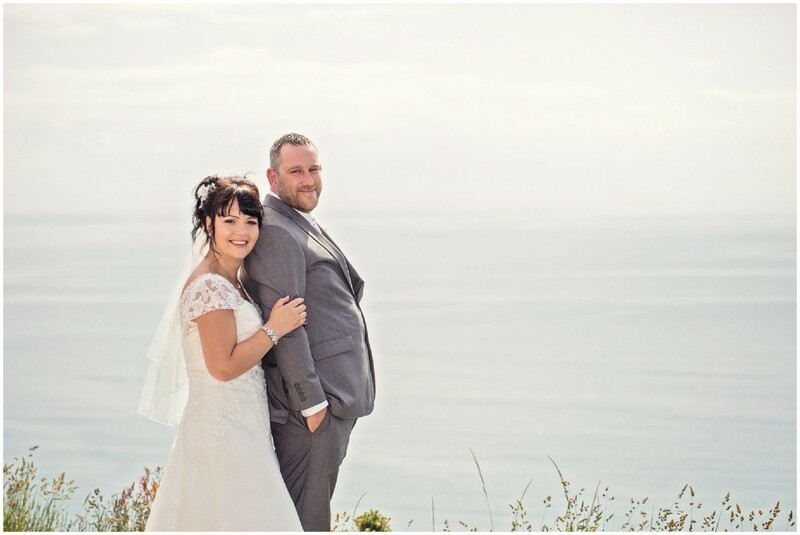 Their wedding day came and it was STUNNING! One of the nicest families ever!!! Mathew and Chrissie married at the Elephant and Castle Hotel in Newtown, it was a sunny day and the venue looked great. 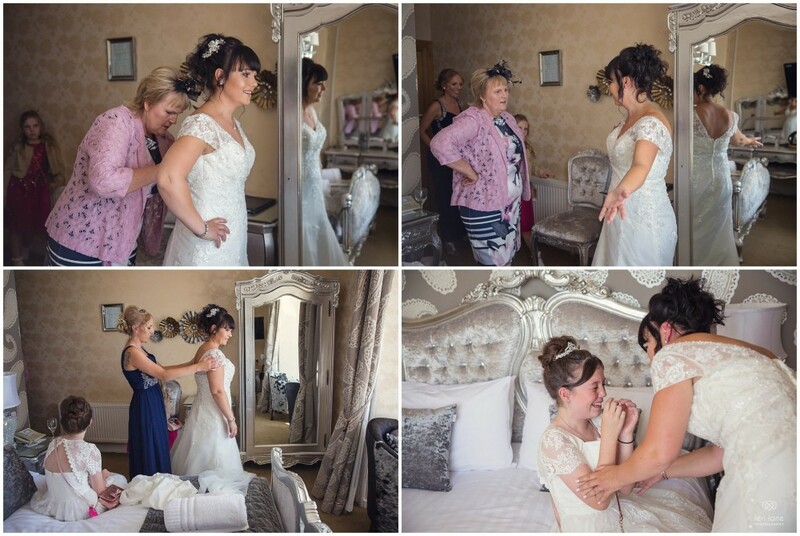 The Bridal party got ready at the venue, with hair and make in full swing, Chrissie had kept her dress a secret from her bridesmaids and it was such a treat to capture their reaction. She looked amazing. The boys arrived, looking dapper in their black suits and bow ties. 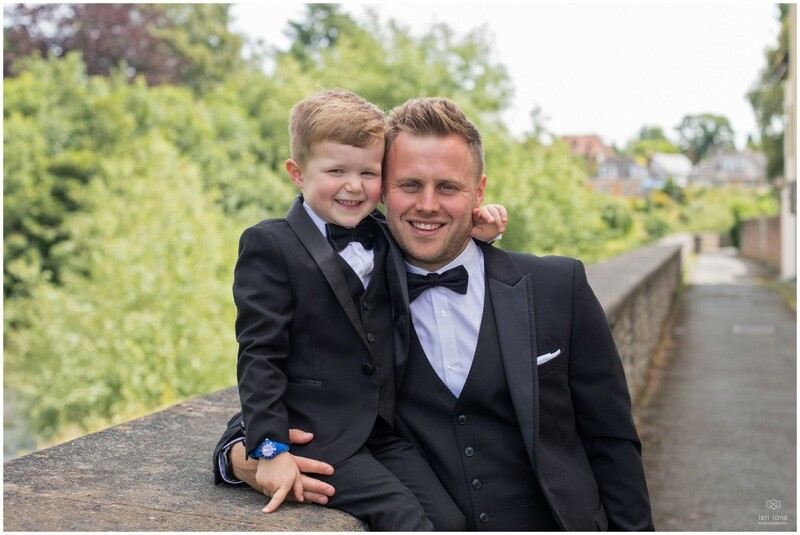 As Mathew welcomed guests and made his way to the outdoor ceremony garden he was ready to watch his children and Chrissie walk down the aisle. This was by far the cutest moment! Even I felt a surge of a proud parent moment watching Jak and Ella walk down followed by the beautiful bride and her bridesmaids. I asked Chrissie what her favourite moment of the day was; she replied, “It’s so hard to pinpoint, it was all so amazing! Definitely, a moment that will stick with me is when myself and the bridal party were just about to walk down the aisle. The mixture of emotions in such a special moment was unbelievable and something I’ll never forget." 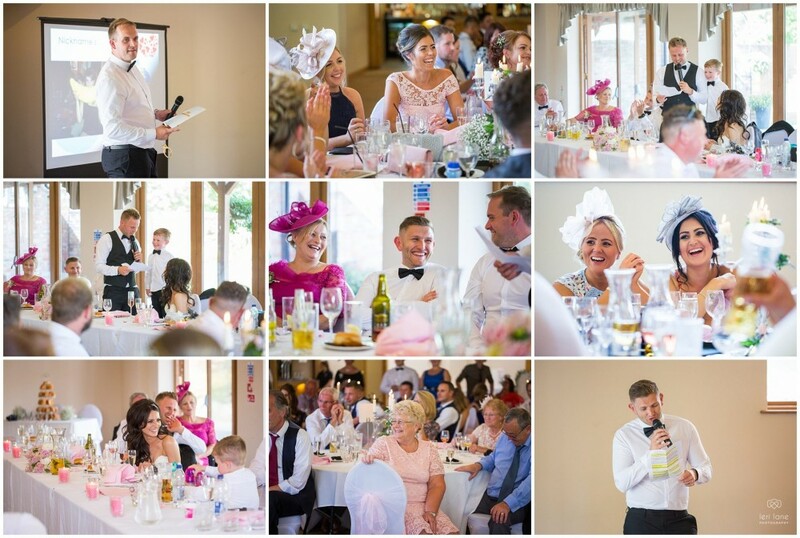 As the guests sat witnessing Mathew and Chrissie tie the know in the glorious sunshine, they were serenaded by New Dynamic choir, who always add such emotion to a wedding, as they were announced Mr and Mrs - smiles beaming, everyone cheering, it was time to celebrate. We snuck off for a few family photos - they are the most photogenic family I know, it was great. Guests celebrated in the garden whilst group photos were taken and a few more couple shots around the venue. After several weekends of skimming stones with my boys, I knew the perfect location down by the river and knew it would make a great area for romantic photos as the sun was setting. Speeches were great, best men had the wedding guests in stitches, the boys had their lucky cigars and the girls threw the confetti. It really was a relaxed, enjoyable, perfect day. 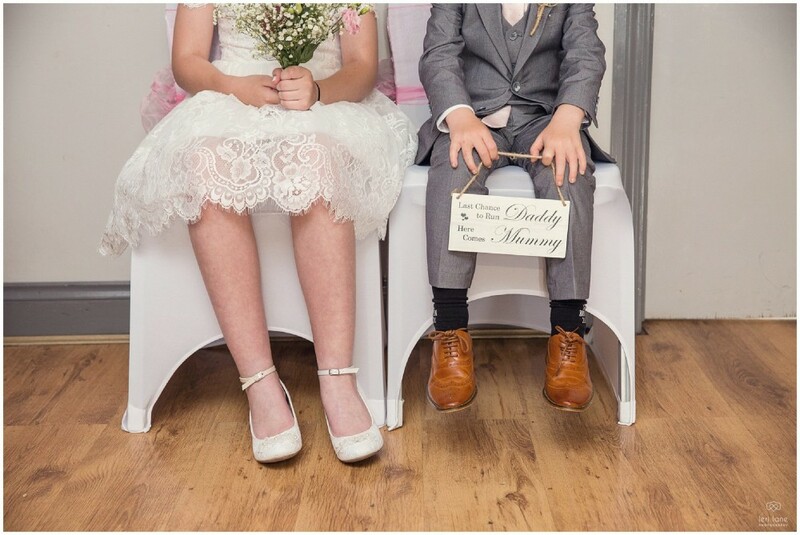 Jak and Ella almost stole the show one last time as they copied mummy and daddy do their first dance, I honestly think most of us were watching the kids…. it was beyond cute!! These adorable children are a real credit to you Mathew and Chrissie. I left the wedding with the children rocking the dance floor and all the guests dancing the night away. 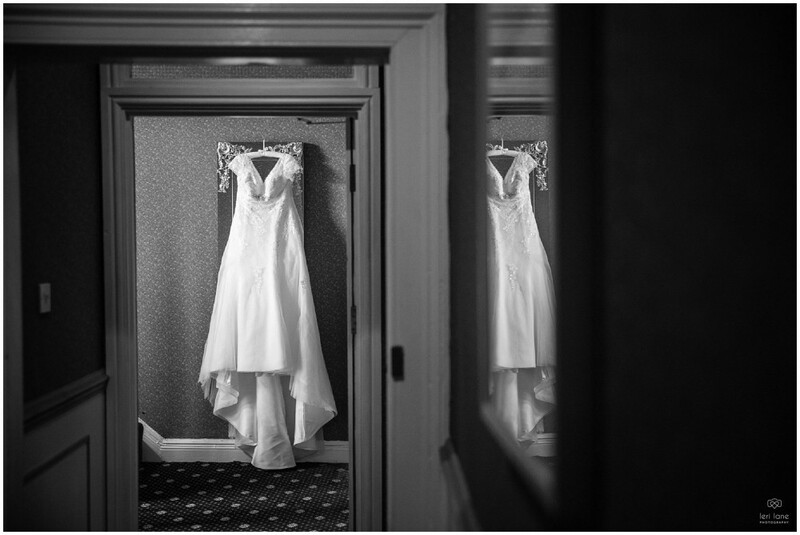 Here are a few wedding photographs from Mathew and Chrissie's wedding. If you are looking for a wedding photographer and like my storytelling style, please contact me. Pop over to my Instagram or facebook page to check out what I am up to including sneak peeks of future weddings. I had absolutely no idea you could marry at this location until I met Jess and Ian; hence why I was super excited when they told me where it was - for me it was an opportunity to photograph at a new venue with an amazing view; and a great venue it was too! 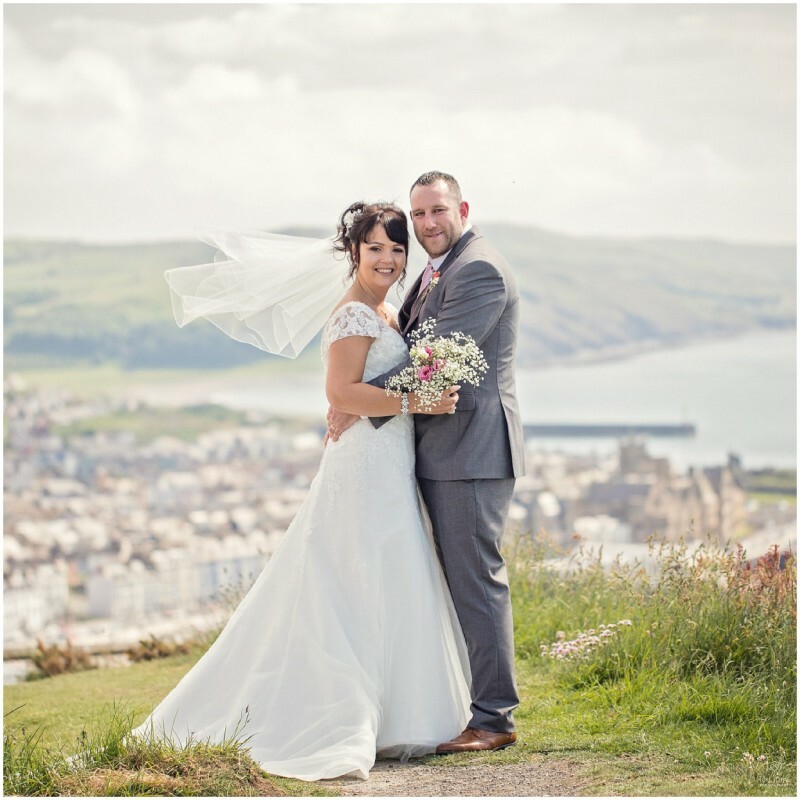 Constitution Hill, Aberystwyth is a huge tourist attraction for all to see the wonderful views of the coastline; and on this very special day, Jess, Ian and all their guests enjoyed the wonderful occasion with the glorious sunshine on their wedding day. It was another hot day, we are having the best summer aren’t we? The bridal party prepared at the Marine Hotel before making their wait to join the Groomsmen and guests up Constitution Hill. Loved watching the girls making their way up on the tram, beaming with smiles and emotion - it was time for the happy couple to say their vows. Ian, Jess and their children were emotional, it was such a heartfelt moment as their daughter was overjoyed at them all having the same surname after so many years. 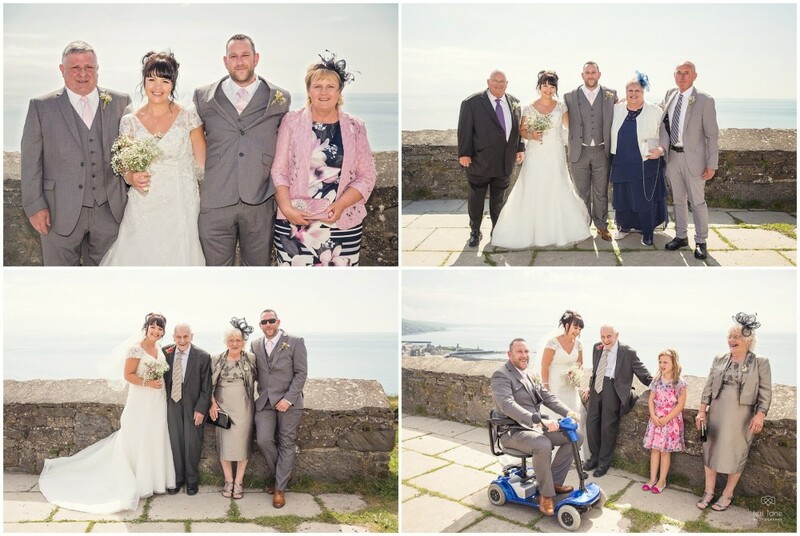 After the ceremony, everyone enjoyed drinks overlooking the amazing views. I love the seaside and the opportunity to take such photos up here was amazing. Seagulls were flying around - the views were amazing it really felt like we were on top of the world. The venue transformed their room ready for the wedding breakfast, with all the personal touches of the happy couple, it looked fantastic. After the speeches, they had a magician, Luke Close-Up Magician was totally out of this world and even now writing this I am dazed by his magic. 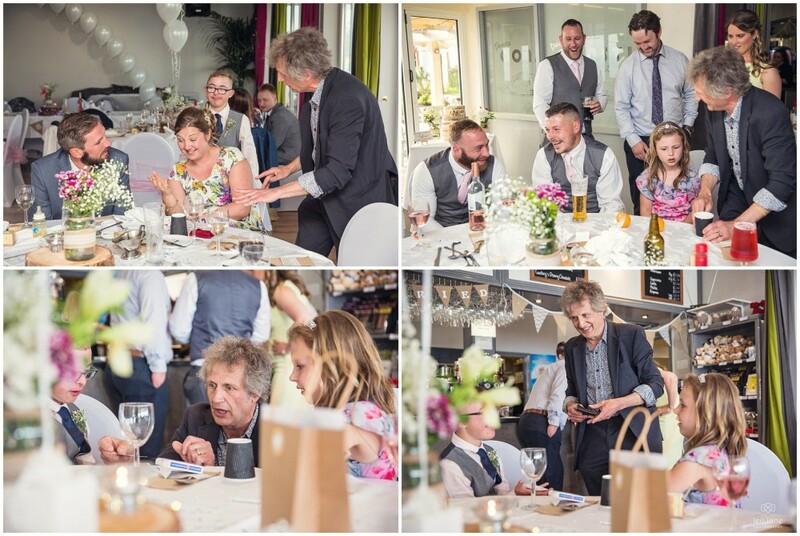 if you want entertainment for all ages at your wedding, check this magic man out – beyond amazing and I just loved capturing those reactions of disbelief. Especially Jess’s Dad!!! We made the tram ride back up to their evening party and as everyone celebrated and guests were in awe of such a place watching the sunset it really was incredible. As the sunset and the dancing began seeing Aberystwyth lit by night was stunning. 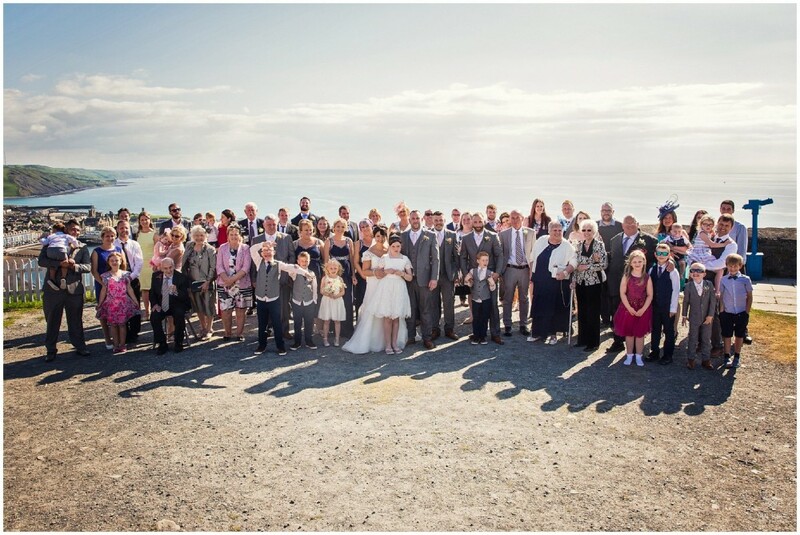 Here are a few wedding photographs from Ian and Jess's wedding. An outdoor Tipi wedding infused with rich Indian colours in the stunning hills of Wales at the wonderful Ceridwen Centre. I absolutely love colour and when I first spoke to the Tara (a.k.a the bride) and Selwyn (a.k.a the groom) they had me at 'our wedding is going to have rich Indian colours' nevermind the awesome Tipi venue they had chosen in south-west Wales. It was themed around a boho relaxed style and it also reminded me of a mini festival full of happiness. The bride had planned the wedding with lots of fresh vibrant flowers in mind and that idea came to life; the wild rustic flowers from the Woodland Farm for the bridesmaids, the brides hair band, the ceremony decorations and the tipi set up were stunning, all blended together with the couples hard work including painted jam jars for the centerpieces. You walked into the Tipi and said WOW! Tara had a very special, beautiful bespoke wedding dress made by Indrani Keeley and it suited the feel of her wedding - as she was surrounded by her vibrant pink dressed bridesmaids; it really was a pretty picture. The groomsmen all looked handsome of course with the flowers pulling all the colours together. The ceremony was in the most beautiful garden, an oak pagoda set up for all guests to see the marriage. 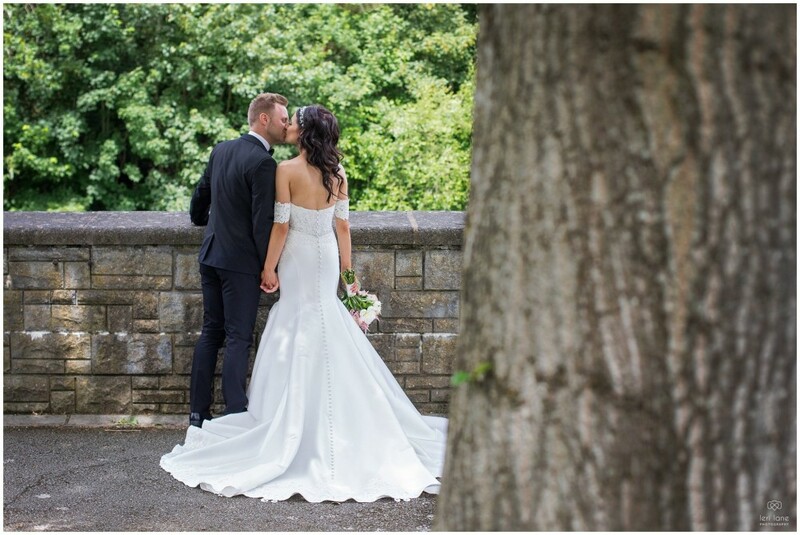 Tara and Selwyn were joined by multinational guests and have travelled to many beautiful places, they said their own personal vows in French and English and were very similar showing their love for each other and the fond memories. Selwyn brought a tear to his bride’s eye by quoting one of their favourite songs to her, to sum up his vows; 'I'm so in love with you, whatever you want to do is alright with me. Cos you make me feel so brand new, and I want to spend my life with you'. Which was so sweet and moving. Walking through guests as the new Mr & Mrs, family and friends showered them in confetti and bubbles - how amazing is this!!! They celebrated, enjoying drinks and canapés with family and friends. We photographed a few chosen group photos before heading off around the venue for couple shots. Tara and Selwyn are so in love and comfortable with each other it was easy to photograph them enjoying their special day. The wedding party made their way up to the Tipi which everyone was in awe of. Walking through the beautiful flower arch was such a pretty touch overlooking the wild-flowers in the fields all around. 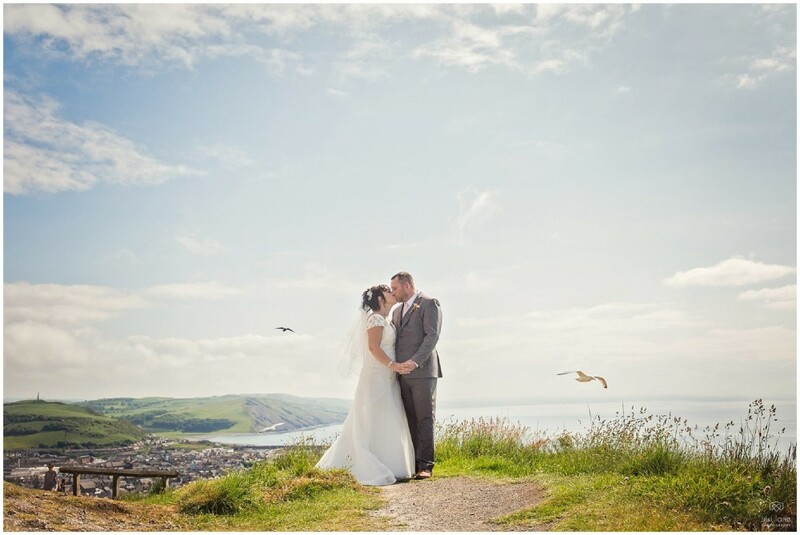 For those from the city, this setting is amazing and to have such pleasant weather was the cherry on top - we were so lucky it stayed dry so thast we could all enjoy the Welsh countryside views. Check out the quirky accommodation dotted all over the site. So cool!!! As mentioned the Tipi looked incredible, also the cake looked divine. Again a real personal touch, on their first date these amazing ‘Goobers’ brownies from Outsider Tart made an appearance - peanut butter, chocolate fudge and peanut M&Ms…. Mmmmmm!!! Sounds delicious!!! The groom to be then ate all of Tara’s brownie that she bought… for herself, haha! Very brave Mr Jans - It must’ve been love! A shared peanut butter obsession it was definitely meant to be. They had their speeches and dinner and enjoyed a very relaxed afternoon. They danced the night away with guests also enjoying catching up and sharing stories sitting around fire pits outside - it really was idyllic. I asked Tara what her favourite photo was, she chose this and said; This is my favourite photo, everyone is laughing at the ceremony when I'm dabbing my eyes! I was so happy and emotional and glad that it wasn't too serious when I inevitably started blubbing!! Selwyn's favourite photo is this…. He said, "it's this one because I'm carrying Tara and we're laughing because we are both so happy and relaxed." We chose Ceridwen because it was so beautiful and green (my favourite) in its scenery and setting and quirkiness with all it's different glamping accommodations; we knew our guests would have a really fun time over the weekend. 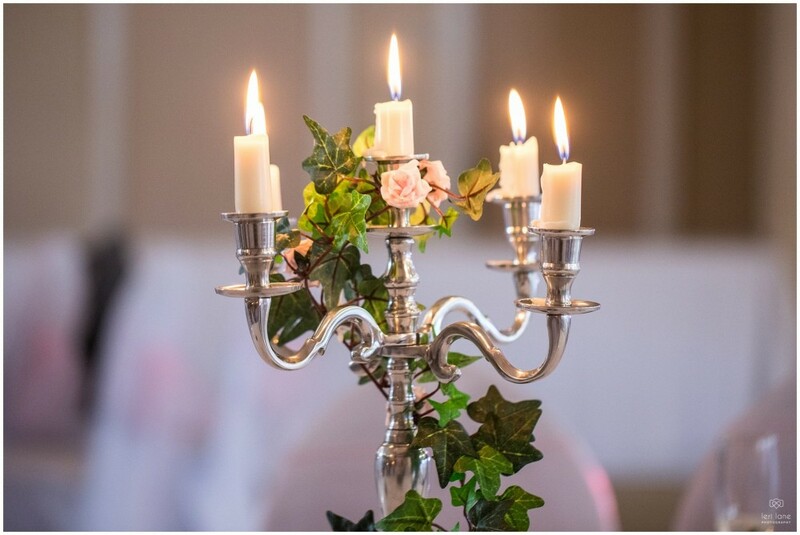 We also loved the fact that it was family run and environmentally conscious; not only that, but the Broome family and their staff were so friendly and accommodating and the food from Rob was outstanding so all the prep in the lead up to the wedding merely confirmed our choices. Our guests loved it. What advice would you give future couples planning their wedding? As I left the wedding and drove home along the west wales cost it did make me feel very proud to live in such a wonderful country and also I am one lucky lady to work with some fabulous couples. Tara and Selwyn - you are beautiful inside and out - thank you so much for choosing me to capture your amazing wedding. Here are a few wedding photographs from Selwyn and Tara's wedding.